Vuba Building Products, manufacturers of resin bound and resin bonded products, has opened its brand-new 10,000 sq. ft headquarters in Beverley. 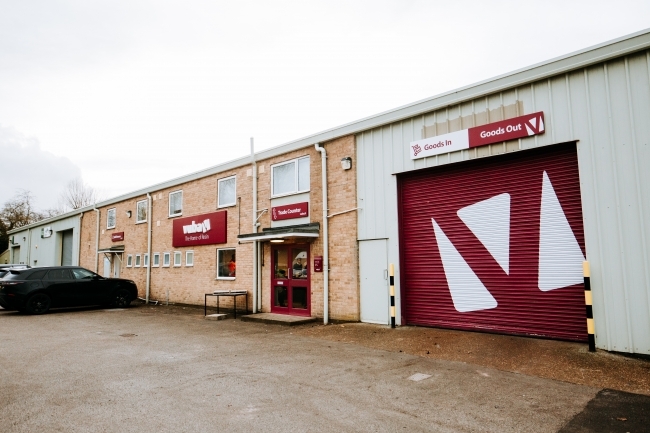 The expansion follows Vuba’s busiest year to date as the business is expected to achieve a £3m turnover in 2019. The new facility boasts a training centre to accommodate their largely popular training courses, and a showroom displaying 60 of their original blended and completely unique products – the first of its kind in East Yorkshire, and one of the only showrooms in the UK. Vuba’s expansion presents numerous new job opportunities within the region, and was opened by champion boxer, Tommy Coyle, who recently collaborated with the company to offer ten young and unemployed individuals fully-paid sponsorships to attend Vuba’s training courses. Vuba are manufacturers of resin bound and resin bonded products, as well as internal epoxy flooring paints and screeds for both commercial and domestic use. Their product range extends across a variety of different floor materials, including attractive resin bound systems, decorative epoxy floor paints and colourful rubber play screeds. Vuba specialises in resin bound flooring, a highly attractive and durable alternative to tiles and concrete, which has dominated the landscaping business and has become exceptionally popular for gardens, features and driveways. Vuba has since developed its own original blends which are exported worldwide, and all 60 unique and colourful ranges are available to view in the new on-site showroom – the only one within a 60-mile radius. Vuba has always been highly regarded for their training services. The company’s YouTube channel has amassed millions of views and features popular step by step video tutorials that guide customers through the application of their DIY resin products. Due to the high demand of their resin bound ranges, Vuba now provides training courses for those individuals who are interested in becoming approved contractors by learning a new trade. The new facility offers a dedicated on-site training centre, which provides the perfect environment in which to build on the success of the training courses programme. Special guest and loyal customer, Tommy Coyle, delivered a presentation on his recent training course sponsorships before officially opening the facility.